Since 2005 the racing tradition of Porsche continues on a new level: the Porsche Sports Cup. As a customer sport series it closes the gap between the Porsche Sport Driving School and the Porsche Brand Cups for professional drivers. You can compete in four series for which you need a licence and two licence-free series. The series are held on six different weekends on five prestigious circuits. 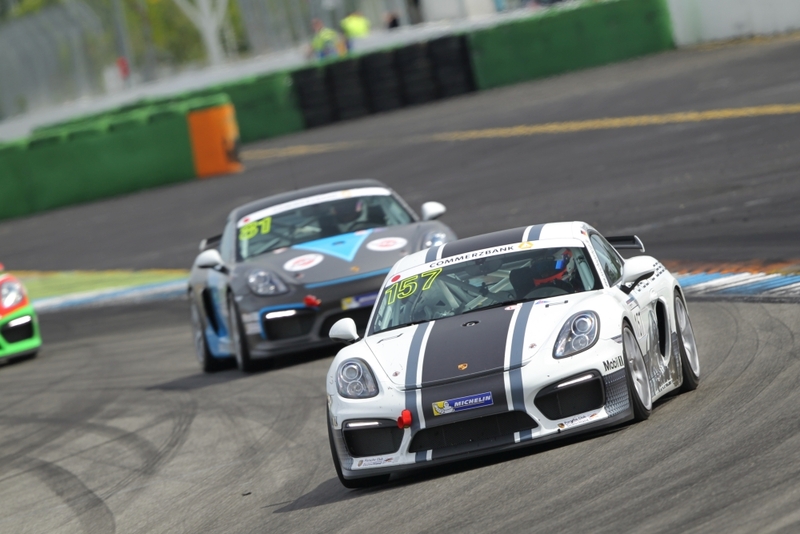 At the PZ Driver’s Cup ambitious Porsche drivers, who are not in possession of a racing-car driver’s licence, can refine their skills and knowledge under the guidance of experienced instructors of the Porsche Sport Driving School. The goal is to improve the driving technique and not to reach new top speeds. The priority is to improve the driving skills for the traffic in the everyday life and to master the control over ones own car. You get to know when to slow down and accelerate in and after a curve. If you ever wanted to drive your own car on a racing track under the guidance of experienced instructors, then you arrived at the right place at the PZ Driver’s Cup.